Funeral Service will be 9/20/2018 Thursday at 11am from Anthony P. Litwin Jr. Funeral Homes, Inc. 33 Reynolds Street Factoryville with Pastor Debbie Loessy of the First Baptist Church of Factoryville officiating. Friends may call at the funeral home on Wednesday from 4-7pm. Interment will be at Evergreen-Woodlawn Cemetery, Factoryville. In lieu of flowers memorial contributions can be made to the First Baptist Church of Factoryville PO Box 366 Factoryville PA 18419. 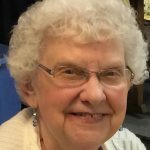 Kathryn A. Beck, 86, of Factoryville passed away 9/16/2018 Sunday morning at Allied Services Hospice Center, Scranton. Born in Dickson City on August 8, 1932, she was the daughter of the late August and Kathryn A. Bogdonovich Dolechek Sr.. Kathryn was married on May 1, 1954 to Ervin “Herb” Beck. They were married for 64 years. Kathryn graduated from Factoryville High School in 1950. 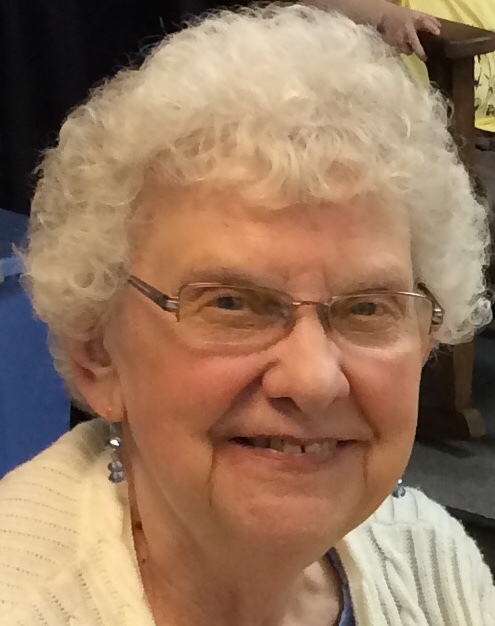 She was an active member of the First Baptist Church of Factoryville and worked many years as the Cafeteria Manager at Lackawanna Trail Elementary Center. Kathryn loved to go on bus trips with her sister Irene and attending her grandchildren’s events. Kathryn is survived by two daughters Trudy Breymier and Linda Beck; two sons Bruce and his wife Jessie and Gregory and his wife Michele. Grandchildren Ricky and Marcy Breymier; Julian and Ryan Beck; Dalton Milam; Lauren and Emily Beck. Son-in-law Rick Breymier, brother Robert Dolechek, sister Agnes Aten, several nieces and nephews.